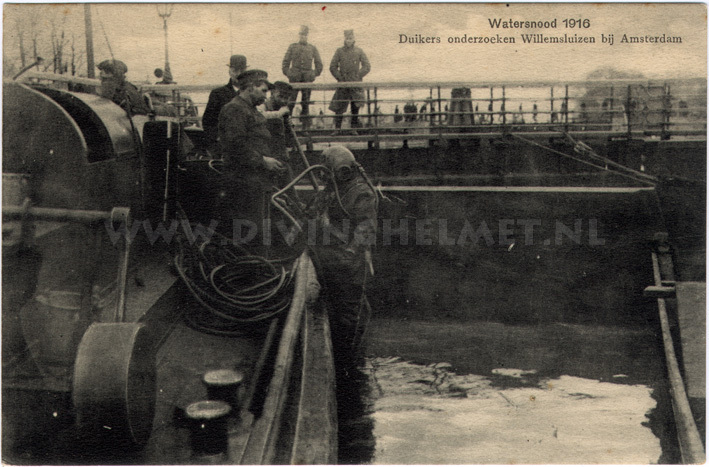 The Heinke ‘pearler’ helmet shown above is the identical model as the helmet shown in an old postcard from 1916. 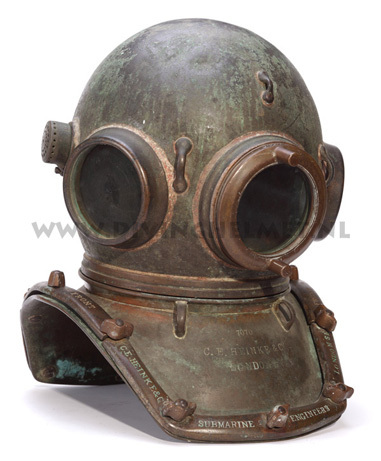 However, I bought this helmet on one of my ‘hunting trips’ in Burma during the 1990s. 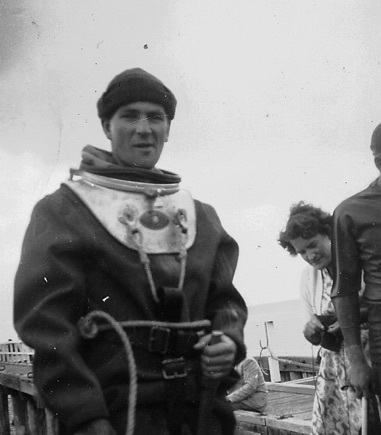 From the mid-1950s onwards, diving equipment design was developing as new technological advances and innovation took place. 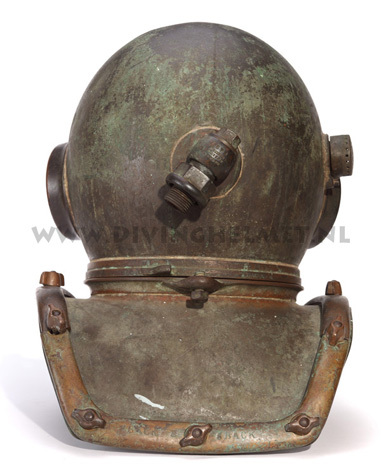 This can be seen in the pioneering ‘CG45’ regulator and HP scuba tanks developed by Jacques Cousteau. 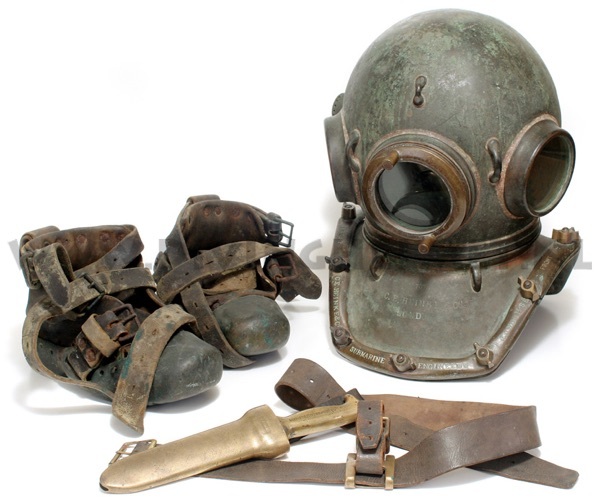 Until then diving equipment had been expensive and was only affordable by the larger diving companies. 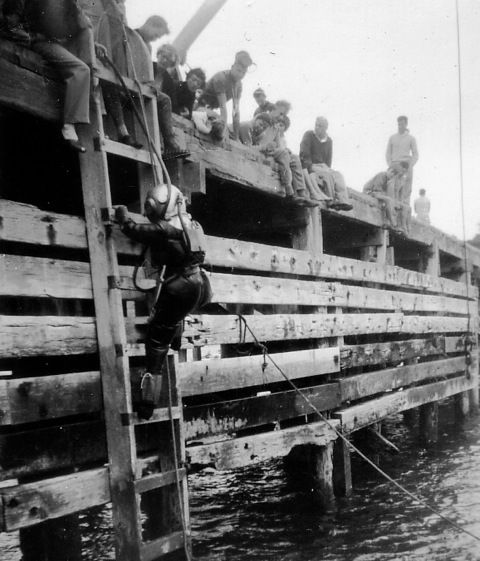 However when Cousteau developed his regulators and dry-suits at much lower costs (using either scuba tanks or with surface demand), underwater work became more affordable and more widespread among a new generation of divers. 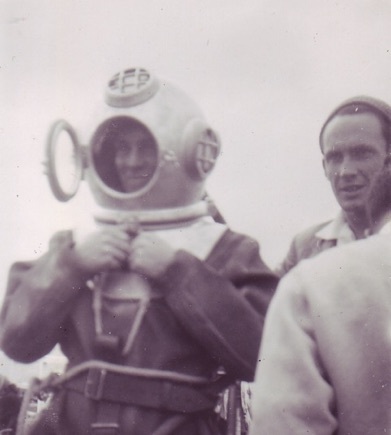 Following this new trend Heinke developed a lighter ( cheaper ) diving equipment, the ‘Harbour Dress’. 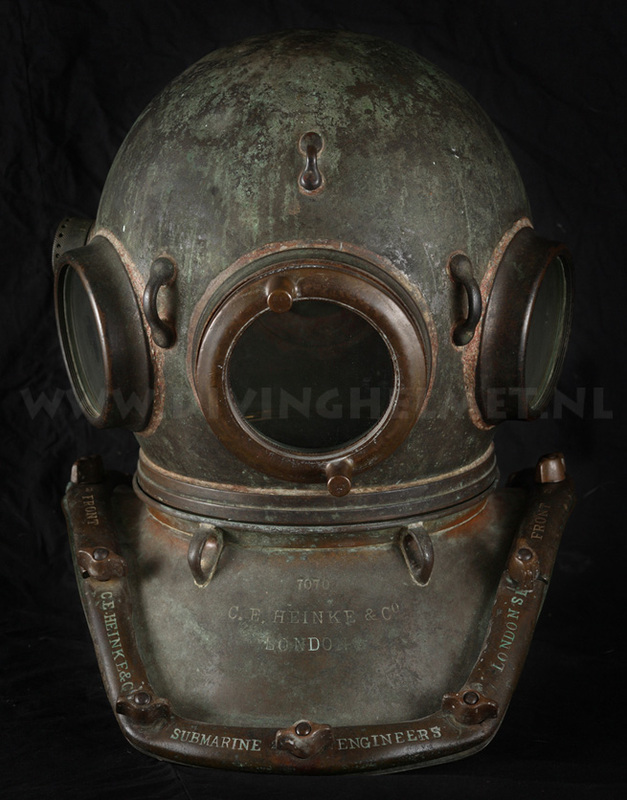 The helmet design was copied from the Denayrouze 3 bolt system but for some reason the helmets flanges were mounted in reverse when compared with the original french design. 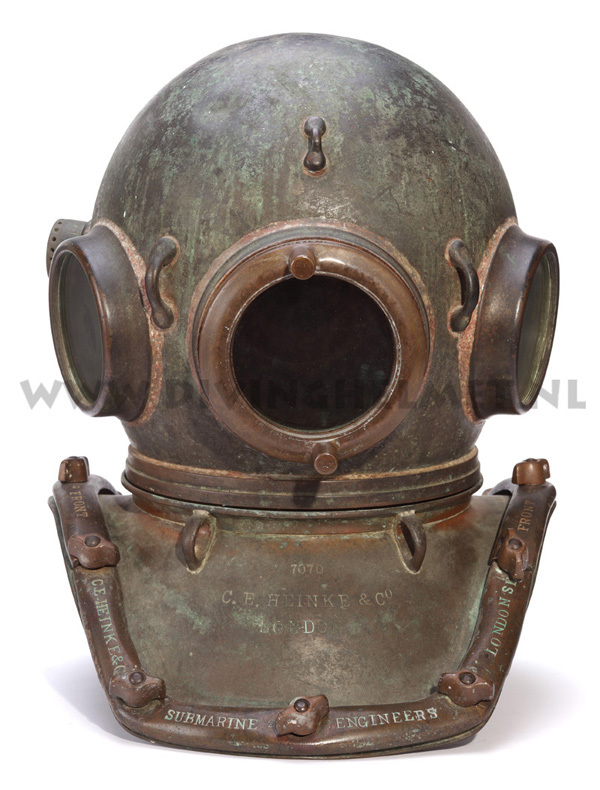 When the Heinke company was sold to Siebe Gorman & Co Ltd around 1960 this helmet design was taken in production by Siebe Gorman in a slightly different version: Siebe Gorman gave the helmet the front window of the MRS helmet ( see the chapter ‘1839 Augustus Siebe 2’ ) The 3 photographs here above show the Heinke ‘Harbour Dress’ in action: I received these nice old photographs from HDS SEAP ( Historical Diving Society South East Asia and Pacific ) member Stephen K.Taylor, thank you very much Steve. 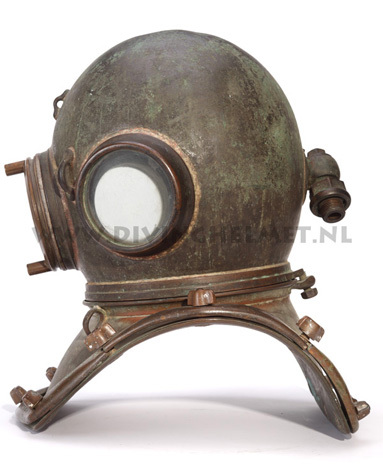 Currently identical helmets but with a Siebe. 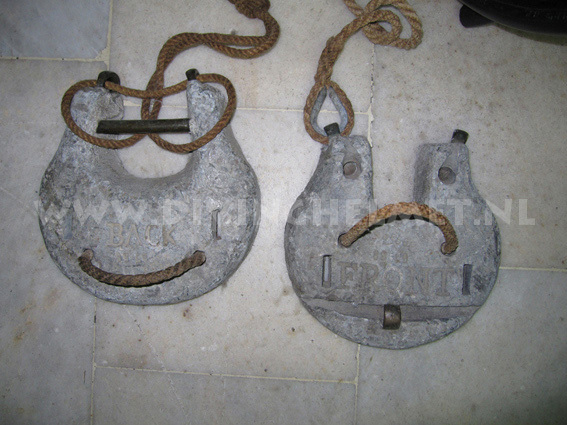 Gorman & Co Ltd company badge are being sold in Europe which are reproductions. 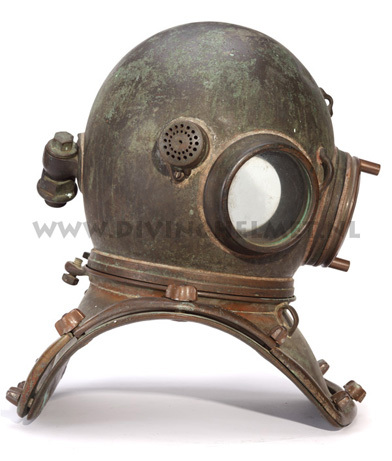 See for more info the ‘Fake Helmet Alert’ chapter.